You need a blocked drain plumber in the Inner West. And you need them now. A pipe that gurgles, a sink that stinks, a toilet that won’t flush – all are signs, foretelling future disaster. Don’t wait: call the team who can repair what your husband “fixed”. Call Blocked Drains to the Rescue on 02 8789 2512 or click here to book your job online. We’re miles ahead of the competition: our professional service is legendary across the Inner West for speed, reliability, and trustworthiness. We’re known as the local legends. Reliable, on time, honest. There’s only one team you can trust: Blocked Drains to the Rescue. Call now: tap here to dial 02 8789 2512 or click here to book your job online. We’re always ready to rescue you! You deserve a better class of blocked drain plumber in the Inner West. You deserve on-time service. We provide that. With GPS tracking on all of our vans, we can pinpoint the closest technician to your job and get them on site ASAP. You won’t be waiting around for hours. We show up at the agreed time, every time. Our behind-the- scenes team work hard to ensure we’re on the go as you need us, always nearby. Your technician will even call you en-route to let you know the precise arrival time. Moreover, you can expect us to start work straight away. Because each of our tradies carries over 150 specialist tools in their fully stocked van, there’s no waiting around for your repairs to start. Your Inner West blocked drain plumber will provide you with an up-front quote, accurately costing the job after investigation. You only ever pay for the job, not the time it takes to do it – because we charge by the job, not the hour. So, you can trust us for a fair deal. You’ll never be in the dark, you’ll never be waiting, and you’ll always get a fair deal. Can our competitors top that? We don’t think so. Call now: tap here to dial 02 8789 2512 or click here to book your job online. We repair what your husband “fixed”. Last ditch effort? Try us first. You’ve got that one blockage that just won’t go away. Maybe you’ve reached for the plunger already. Has it worked? Probably not. Maybe you’ve already called another tradie, to no avail. Maybe a friend promised that some magical syrup would clear it out. Who knows. Whatever the situation, you need the repairs of an expert, not a last ditch effort. Try us first. With 100% guaranteed workmanship on all jobs, and warranties on all labour by our licensed, qualified and fully insured practitioners, you’re in safe hands. Across the Inner West, our blocked drain technicians work to keep things clean, safe, and effective. We work efficiently, and in a timely manner, while not sacrificing safety. Ever see an unsafe worksite in your own home? No longer. Not only will we make the safety of your home our top priority, we’ll clean up after ourselves. Laying down protective sheeting and cleaning up the mess means you can focus on what matters to you, not sweeping up after lazy tradies. So never fear: Blocked Drains to the Rescue is here! With the most professional, trustworthy and reliable service in the industry, we’re your go-to for every blocked drain Inner West service you could possibly need. 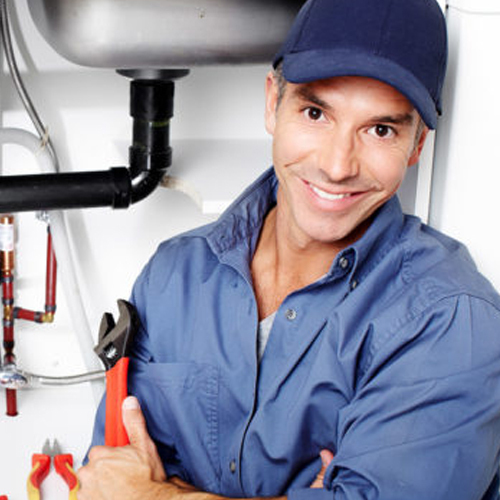 We’re the trustworthy blocked drains plumbers the Inner West needs. Don’t wait: at the first sign of a blockage, call the super tradies. Dial us on 02 8789 2512 or click here to book a job online. We’re always ready to rescue you! Ranging broadly from the southern shore of the Parramatta River and Iron Cove, south to suburbs such as Marrickville and Dulwich Hill, and as far west as Homebush, the Inner West is one of Sydney’s most vibrant regions. Peppered with small hotspots of food, drink, culture, and art, it’s a great place to live. From Leichhardt’s Italian Forum to the sprawling Greek restaurants of Marrickville and Earlwood,there’s something for everyone. Most commonly known for the federation and art deco architecture that dominates the landscape, living in the Inner West is a dream come true for many Sydney-siders, with easy access to the city,but a quiet, village feel. We love working in the Inner West. The friendly locals, the great scenery, and the fantastic food make this an ideal spot for living, working, and playing. So don’t fret: next time you need a blocked drain plumber Inner West wide, call the experts. Call Blocked Drains to the Rescue on 02 8789 2512 or click here to book your job online. We’re always ready to rescue you – day or night, 24/7, 365 days of the year! Call now!